What makes a good story? 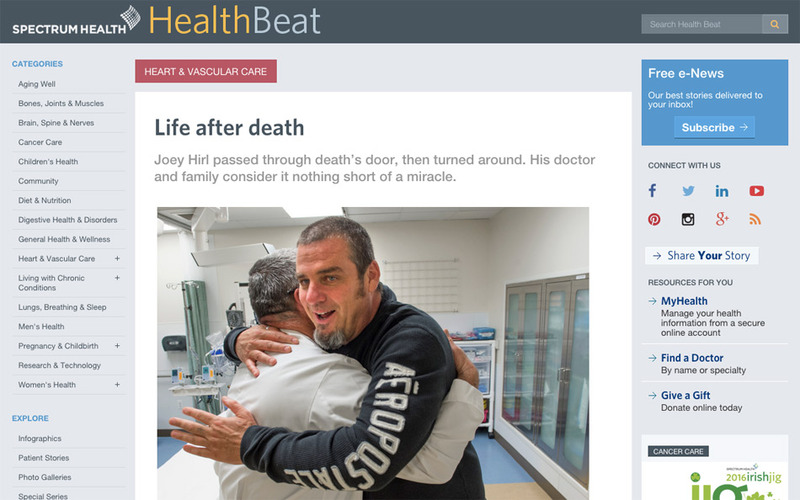 If you need an answer to that question, read Marie Havenga’s story, “Life after Death.” Jill writes for Health Beat, a news website updated daily for the Spectrum Health Systems of Western Michigan. Spectrum services more than 700,000 patients with 12 hospitals. One of those patients, who had a massive heart attack, should have died for all intents and purposes. But one doctor and a dedicated group of health professionals literally brought him back to life. It is a riveting tale of a life and death struggle that could have gone either way. Read the enthralling story on Health Beat.